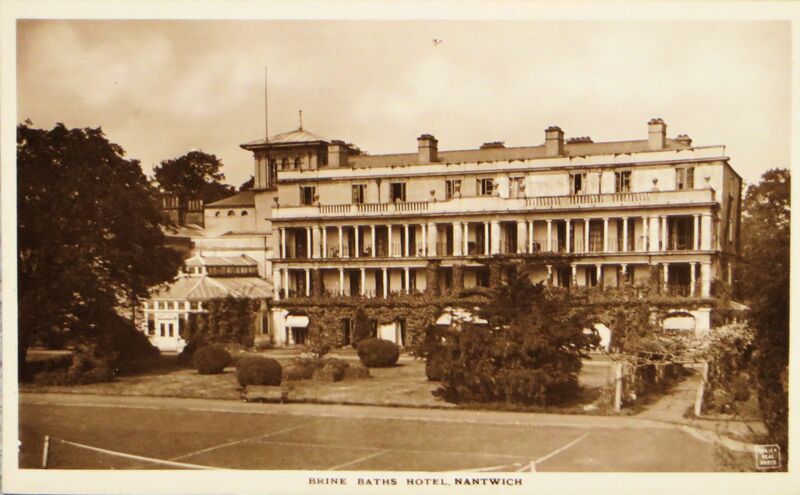 In Victorian times it was fashionable to visit spa towns, and Nantwich had its very own hotel for such visitors – the Brine Baths Hotel. Isaac Horton was a currier (leather dealer), who was obviously doing well supplying boot and shoe makers in Nantwich. He invested his profits in property. 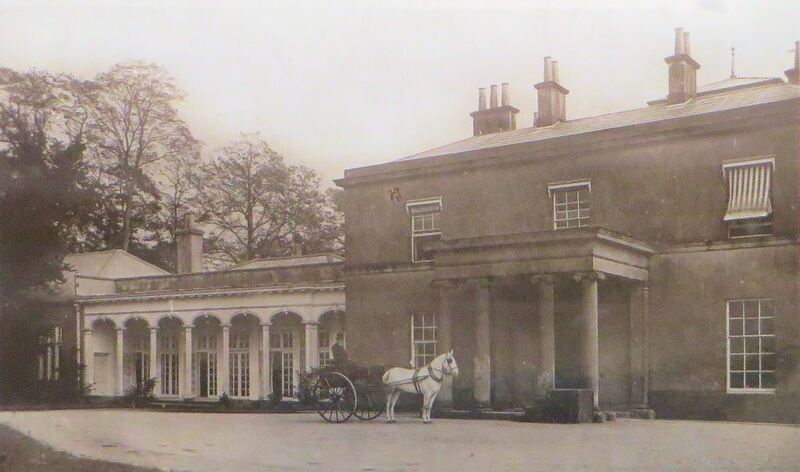 Isaac bought Shrewbridge Farm, where the hotel eventually was built, around 1790. 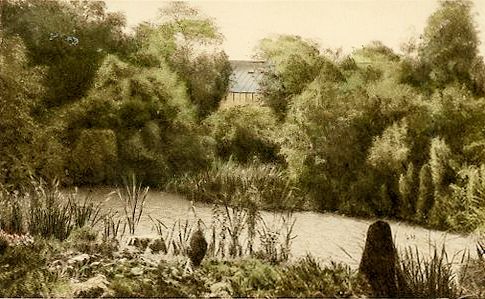 The land was inherited by his daughter, Mary, who married Michael Bott – who was the owner of Nantwich Mill from 1795. 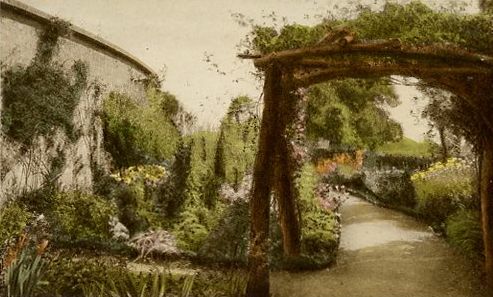 After Michael’s first wife died (in 1822), Michael remarried the following year – and had Shrewbridge Farm demolished. 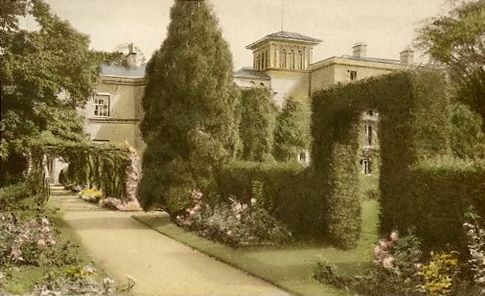 He had built a white stone mansion (called Shrewbridge Hall) for his new bride. Apparently Michael was upset to find that the locals called it Bott’s Hall! 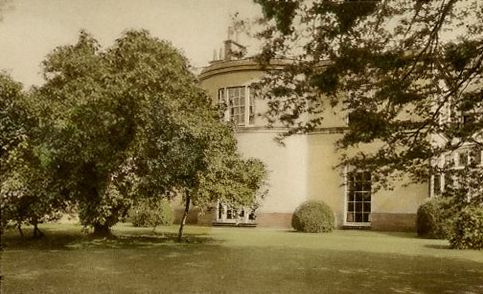 The building was surrounded by parkland and gardens. In 1861 William Henry Hornby (1805-1898), a leading cotton manufacturer in Blackburn, and a director of the Lancashire & Yorkshire Railway, moved to Shrewbridge Hall. William and Margaret Hornby had nine children. He was a former MP for Blackburn, also two of their sons also became MP for Blackburn. Another son, Albert Neilsen Hornby, otherwise known as Monkey Hornby, is one of the country’s greatest ever sports players. He was being educated at Harrow School around this time period, but will have learnt how to play cricket on the grounds of Shrewbridge Hall. 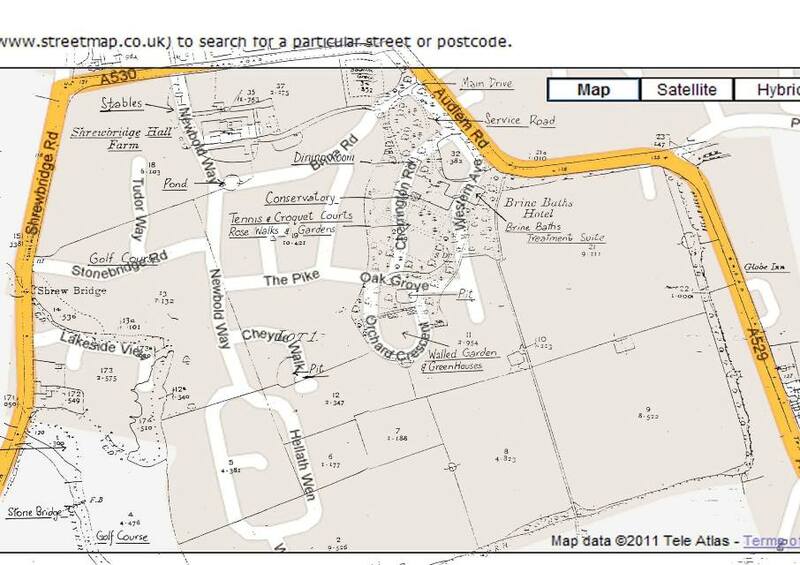 On the 7th March 1880, a new company called the Nantwich Salt Spring Baths Company was formed. 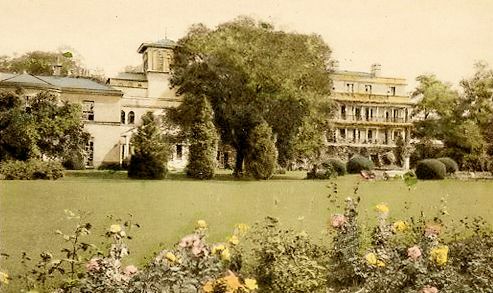 They wanted to buy Shrewbridge Hall and convert it into a sanatorium. However they were unable to get the money and the company was wound up in 1888. In the meantime, in 1887, another company was started, called the Nantwich Brine and Medicinal Baths Company – by a group of local interested parties. 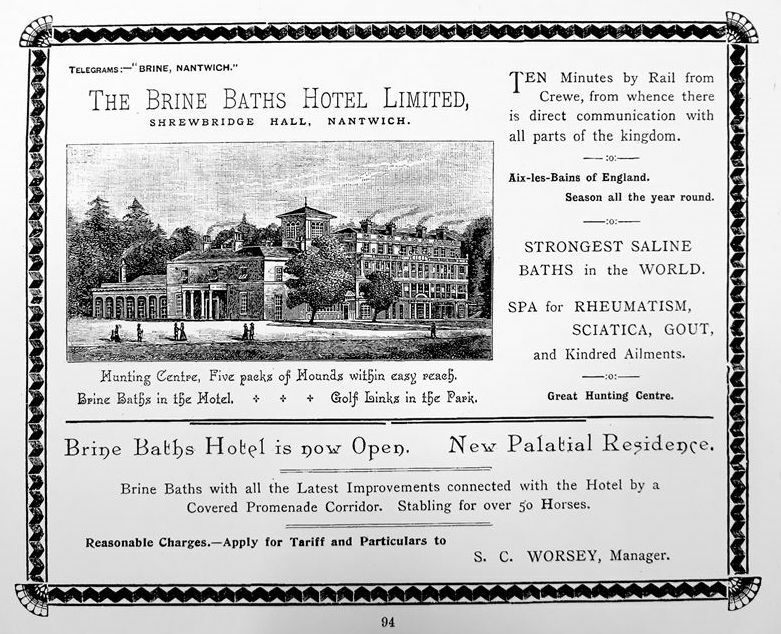 This company bought the mansion in 1883 and expanded it, and then opened it as the Brine Baths Hotel in 1893.
taken from a Crewe Memorial Cottage Hospital Bazaar & Fete programme in 1896, tell us a bit about the hotel. It boasts the “strongest saline baths in the world”! 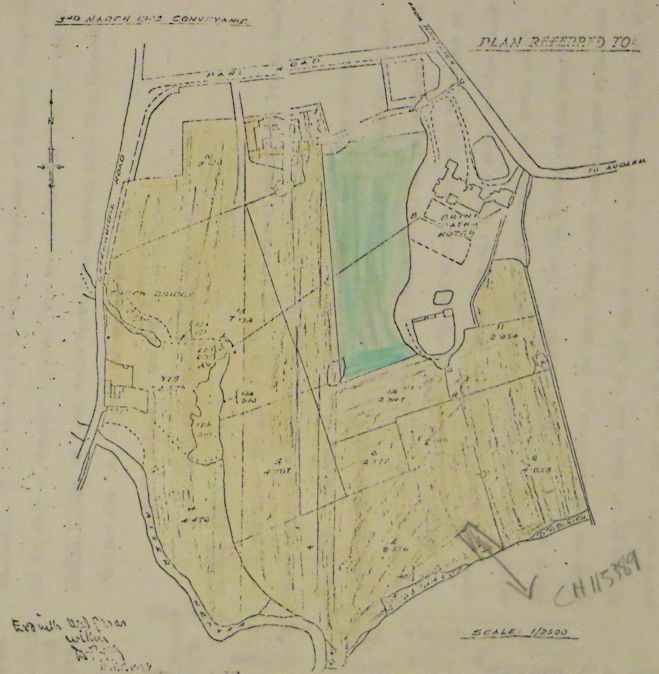 The brine came from Salt Ley Meadow, part of the land surrounding the hotel. 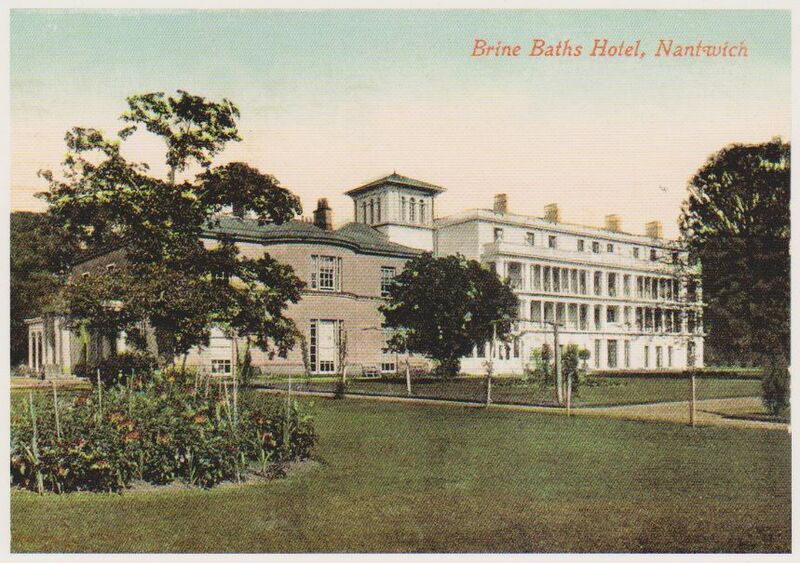 The Brine Baths Hotel, formerly a private mansion known as Shrewbridge Hall, was purchased by a company and converted to its present purpose in 1892, and is now an extensive structure in the Italian style, standing in a well-wooded park of 70 acres, near the town. 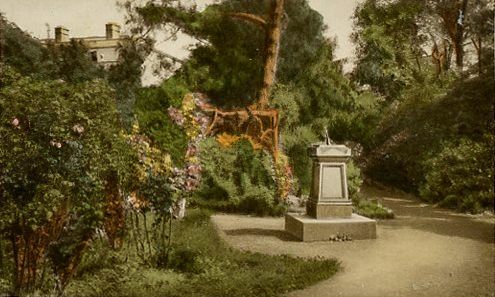 ‘The baths are actually within the hotel, which is suitable, not only for invalids, but for general visitors; in the grounds are fine shrubberies and four tennis courts; the brine here has been found beneficial in cases of rheumatism, gout, sciatica and general debility, and one of the special features is the presence of bromide in the waters. the building was quite substantial. 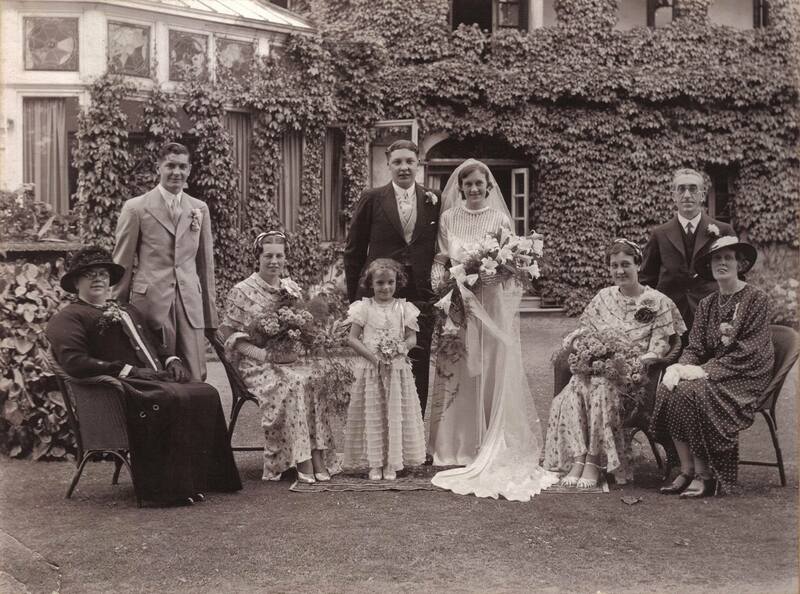 given to me by Paul Knowles‎, shows a fine wedding of Florence Knowles to Albert Peake (the future mayor and mayoress of Nantwich) at the hotel in the 1920s. 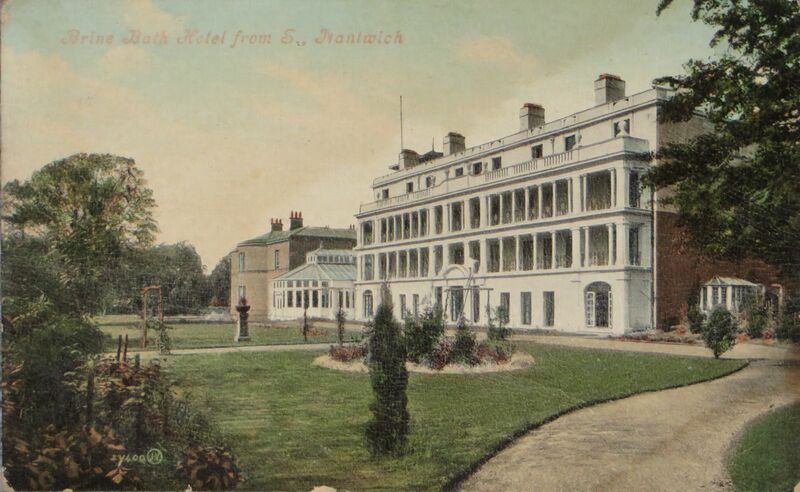 Towards the end of its days, during the Second World War, the hotel became an army base and then accommodation for W.A.A.F. personnel. 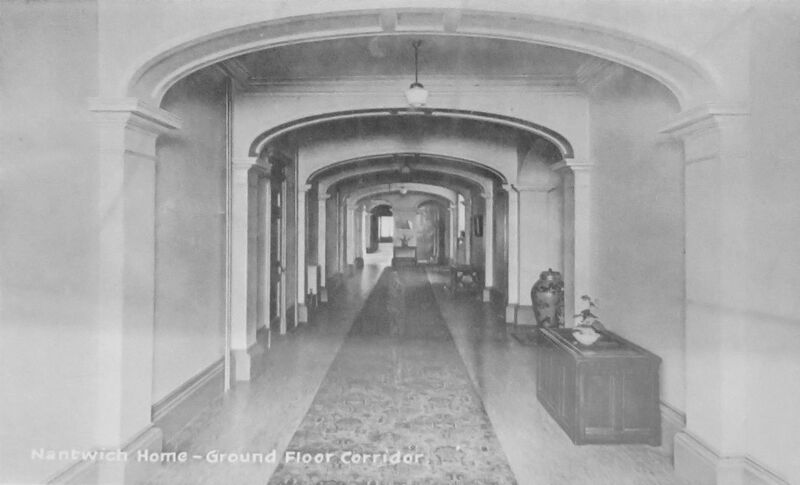 It closed as a hotel in 1947 and became a convalescent home for miners a year later. It closed after four years and was put up for sale. When no buyer could be found, it was demolished in 1959. 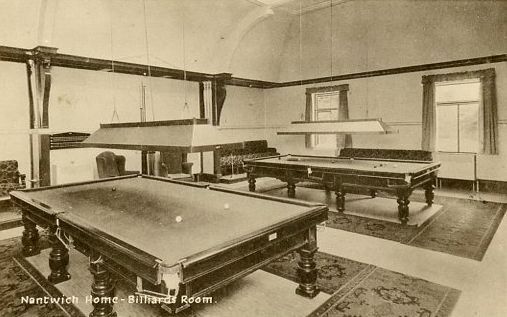 If you wish to learn more, there’s an excellent booklet – The Brine Baths Hotel which is available from Nantwich Museum written by Derek Hughes (who was a volunteer at the museum before he died). This page is a work in progress – I’d love to hear from you if you have any information or pictures that I could use.